J.D. 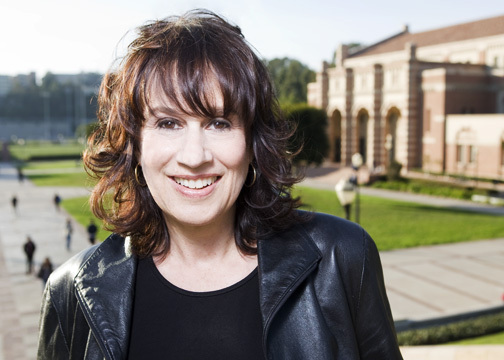 Rothman is the parent behind the popular blog “The Neurotic Parent” and recently published L.A. Times bestselling book “The Neurotic Parent’s Guide to College Admissions“. Rothman’s book was recently optioned for a potential movie treatment – which means neurotic parents nationwide may experience Rothman’s humorous take on college admissions in 3D sometime in the future. When she’s not blogging, Ms. Rothman is an Emmy-nominated writer / producer of children’s television programs (including Daytime Emmy and CableACE wins). OneDublin.org Editor James Morehead had a chance to meet with Ms. Rothman during her book tour which recently made a stop in Pleasanton, California. A full room of parents (both neurotic and soon-to-be neurotic) enjoyed her wit and insights. James Morehead: How did you end up being a blogger, published author and expert / humorist on the college admissions process? J.D. Rothman: “My day job is a children’s television writer and producer, and I’ve been doing that for many years. I started the Neurotic Parent blog four years ago in 2008 as a lark when one of the moms from my son’s soccer team heard that I was going on a college trip with my son, and that we’d be visiting 12 schools in 9 days across 8 states. She thought logistically I’d have a lot to blog about, but when I saw how the parents and kids behave on these tours – and it was mind-blowing – I became a neurotic parent when I wasn’t neurotic before. Morehead: How much of the book came directly from the blog, and how much was created specifically for the book? Morehead: Is the insanity of college admissions something new or has it always existed? Rothman: “It really has changed. The insanity definitely was not there when our generation applied to college. Even five years ago it was not nearly on the level that it is now. I think what has happened is that US News and World Report, which was previously a third-rate news magazine, started ranking schools and during the baby boomlet years the colleges started marketing themselves to get more students to apply so they could turn them down and appear more selective and go up in the ranking. I think that’s what happened first and around the same time high schools started offering dozens of AP courses so suddenly instead of having a 4.0 you could have a 5.8. And then test prep came into play at an extreme level with certain companies offering $15,000 packages. Morehead: There is a lot of humor in your book but underneath I sense frustration and anger about the situation. Is your goal to get a message across using humor? Morehead: Is it really harder to get into college, or is it just harder to get into the 17 schools you mention in your book that everyone is obsessed with? Rothman: “I do say that the unfortunate part is that everyone wants to go to the same 17 schools, or parents want their kids to go there, and yet there are 2,700 schools in the United States and at least 1,000 of them are good. So the problem is wanting your kids to go to those 17 top schools. And part of the problem is so many kids are over-prepped, and have given up the fun parts of childhood, that the parents feel that after all that work their child deserves to go to a top school, while other parents see it as a ‘parenting badge’. Morehead: What do admissions officers think of what you are doing? Morehead: Have you become less neurotic as a result of the blog and book? Morehead: What are your thoughts about The Race to Nowhere’ and the stress students are facing? Morehead: What are the key things you’ve learned that can help neurotic parents relax? Rothman: “The first one is that I wouldn’t worry so much about colleges because no one is getting a job anyway – so no matter where your kid goes to school you are going to have to worry about where they’re going to be a barista. I have a chapter on that. “The second one would be ‘love thy safety’, which I mentioned earlier. You have nothing to worry about if your child sets his or her sights on a school that will accept them. Morehead: A humorous thread throughout the book is a capella singing groups on college campuses, is that a new phenomenon triggered by the popularity of Glee? Morehead: Our family visited the University of Victoria on a college tour and the guide talked about Quidditch matches on campus. What are some of the more unusual traditions you ran across? Morehead: What did you do in college and where did you graduation from? Morehead: Are you planning a follow-up book? Despite her neurosis, both of J.D. Rothman’s sons were accepted into Duke University.